Those who say that Colorado’s “experiment” in legalizing marijuana proves it can be done safely with proper regulation don’t realize that in an experiment, one must control input variables and measure outcomes. Colorado does neither, so its dalliance with legalization cannot properly be termed an experiment. Although it regulates retail and “medical” cannabis stores, the July 9th Department of Revenue report shows that less than one-half of Colorado’s estimated 160 metric ton annual consumption of marijuana comes from regulated stores. Potency, purity or consumption of edibles, hash oil or other concentrates are not regulated. And measuring outcomes? The only outcome that is measured by the state is tax revenue, which is falling short of projections. Driving under the influence of drugs, including marijuana, has never been measured by Colorado. Like most states, Colorado has a single statute number for DUI, whether it be caused by alcohol, drugs, or a combination of the two. There is simply no mechanism to track drug impairment, much less marijuana impairment on a statewide basis. Recognizing that problem, this year the Colorado State Patrol began a manual collection of DUI-marijuana data, based upon officer’s beliefs about the cause of observed impairment. In six months, they wrote 349 citations for DUI where marijuana was believed to be a cause of impairment. Since the State Patrol issues less than 20% of the state’s DUI citations, one might infer a DUI-marijuana prevalence of 3,500 annually. Unfortunately, there are few tools available to detect and/or measure DUI-marijuana, so the estimate of 3,500 is likely understated. 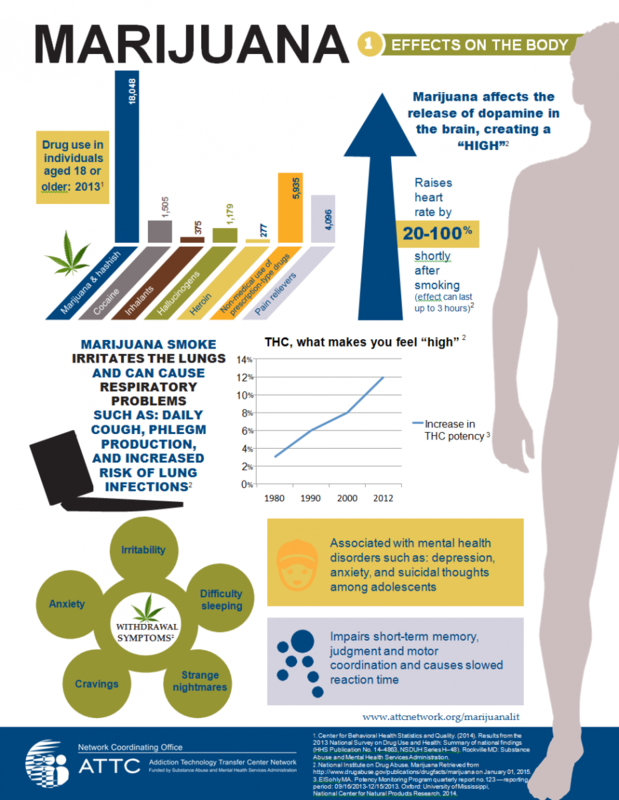 Unlike alcohol’s impairment that is predominantly a physical impairment, marijuana’s impairment is predominantly mental. Less than 2% of Colorado’s officers are trained to recognize, document and testify to DUID based on symptoms unique to drug impairment. Standardized roadside tests designed to confirm alcohol impairment are only marginally successful identifying drug impairment, especially for chronic users. The average 2 hour time between a crash and a blood draw allows THC in the blood from smoked marijuana to decline by 90% or more, frequently below the limits of detection, even for someone who was smoking at the time of the crash. Marijuana may be judged safer than alcohol because no one has died from taking marijuana. By that measure, it’s also safer than the bubble gum that choked Michael Jones to death. But it’s still not safe. And no one believes it’s safer than bubble gum. Marijuana causes driving impairment, and it causes deaths such as Tanya and Adrian Guevarra, killed by a driver who confessed to driving under the influence of marijuana after testing positive for 4 ng/ml of Delta 9 THC. Pot proponents ask to have marijuana regulated like alcohol. But it’s not like alcohol. They could ask to have it regulated like bubble gum. But that doesn’t make it bubble gum, either.